I began my cruising year aboard Silversea’s ultra-luxurious and curiously intimate Silver Wind on an epic journey from Cape Town, South Africa. To say it was a memorable voyage would probably be the understatement of the year; South Africa offers so many diverse opportunities to see the so-called “Big Five” animals in their natural habitat that you could probably spend months here and never have a repeat experience. Silversea isn’t the only cruise line to sail to South Africa, but I’d be hard-pressed to come up with a better ship to sail the Indian Ocean aboard than the Silver Wind. Carrying just 296 guests, she’s smaller and more intimate than the vast majority of other ships in the area, not to mention luxurious. But being built in 1995, there’s always room for improvement – and that’s just what the line plans to do this November, when they send her for a short but productive stint in drydock. It only seems fitting, then, that I should end my oceangoing year aboard the beautiful Silver Wind – with a weeklong journey through the Mediterranean to cap it all off. 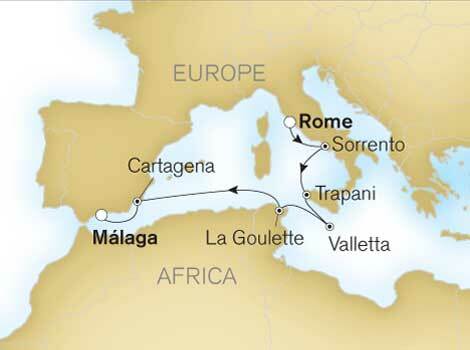 Join us November 18 to 26 as we travel to the historic city of Rome to embark Silver Wind in the port of Civitavecchia. 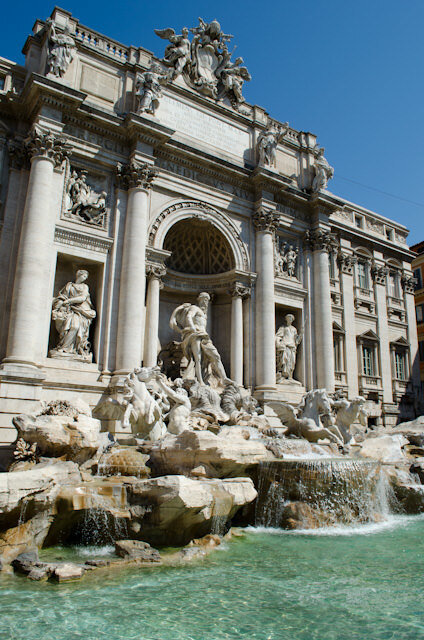 From there, we’ll continue on to Sorrento – gateway to Pompeii and the sun-splashed paradise that is Capri. After departing Italy, we’ll get to explore a city I’ve always personally wanted to visit: Valetta, Malta. Known as Il Belt, the city was recognized as a UNESCO World Heritage Site in 1980 because of its astonishing collection of architecture, most of which dates back to the 16th Century. Silver Wind will also call on La Goulette, Tunisia, where guests can visit the ancient city of Carthage, or the almost Mykonos-esque town of Sidi Bou Said. Together with the Cap Bon Peninsula, these historic sites routinely draw more visitors than the country’s capital, Tunis, does. Our journey concludes in Spain, where we’ll have a chance to explore ancient Cartagena – and while there’s no shortage of Romanesque ruins here, I’ve got my eyes set on the city’s Naval Museum, site of the 1888-built Peral Submarine – the first fully-capable military submarine ever constructed. 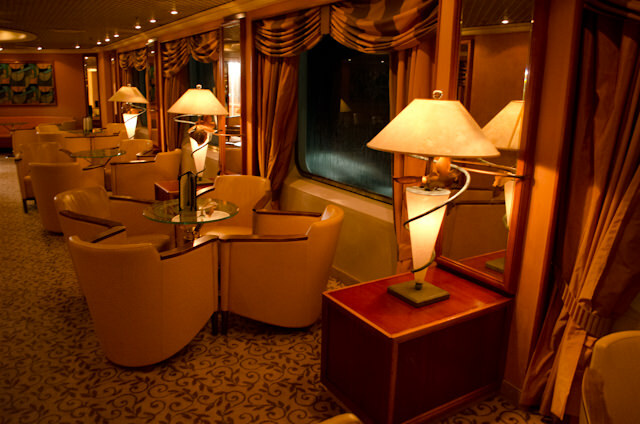 Silver Wind voyage 2334, Rome to Malaga. Illustration courtesy of Silversea. Of course, there’s another reason I’m making this journey beyond the sun-drenched Mediterranean, and that is for the Silver Wind herself. Her sister, Silver Cloud, was the beneficiary of several sweeping enhancements that left the line’s first vessel looking better than ever, and while Silver Wind‘s drydock isn’t scheduled to be much more than two weeks in length, there are still some well-deserved enhancements coming along with the standard maintenance on the ship’s hull and technical spaces that will leave her looking her best. 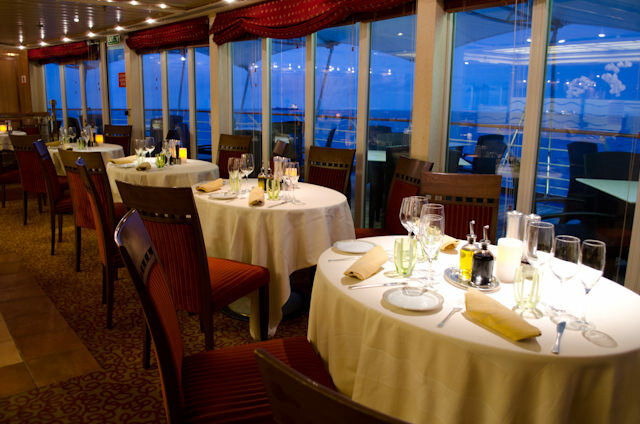 I’m looking forward to seeing the enhancements to what has become one of my favorite Silversea ships, but I am also interested to compare and contrast the line’s expedition and mainstream cruises, each of which offer their own unique advantages. 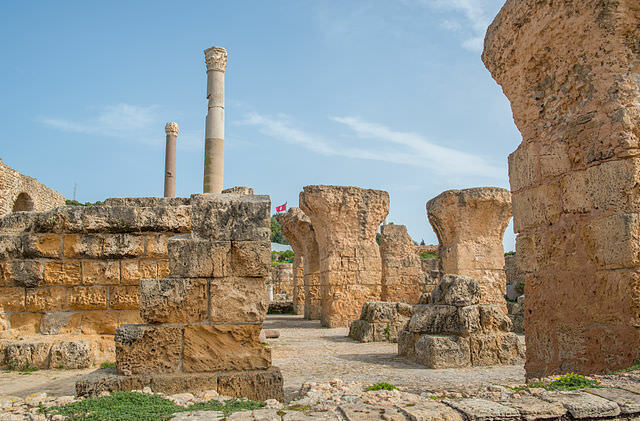 Guests aboard Silver Wind’s Voyage 2334 will have the opportunity to explore the ancient ruins of Carthage, Tunisia. Photo courtesy of Wikipedia / Creative Commons. So come along with us in late November as we compare the Silver Wind of January with its newly-minted counterpart on an exciting journey through the Mediterranean. She’s a ship I have admired and followed since I saw my first advertisement for Silversea on the back of a British travel magazine in early 1998. 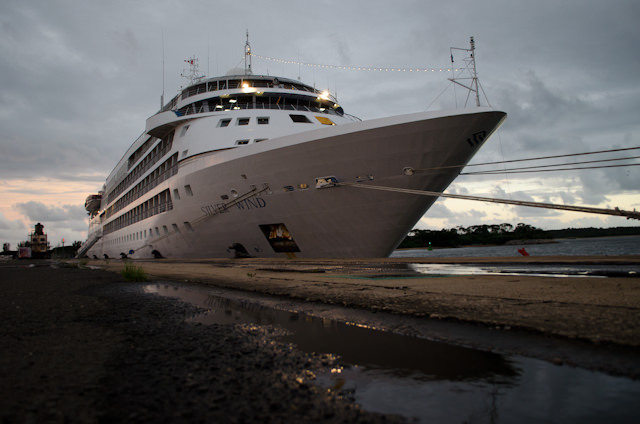 This sailing aboard Silver Wind may be my last oceangoing Live Voyage Report of 2013, but I can’t think of a better way to wrap up the cruising year! 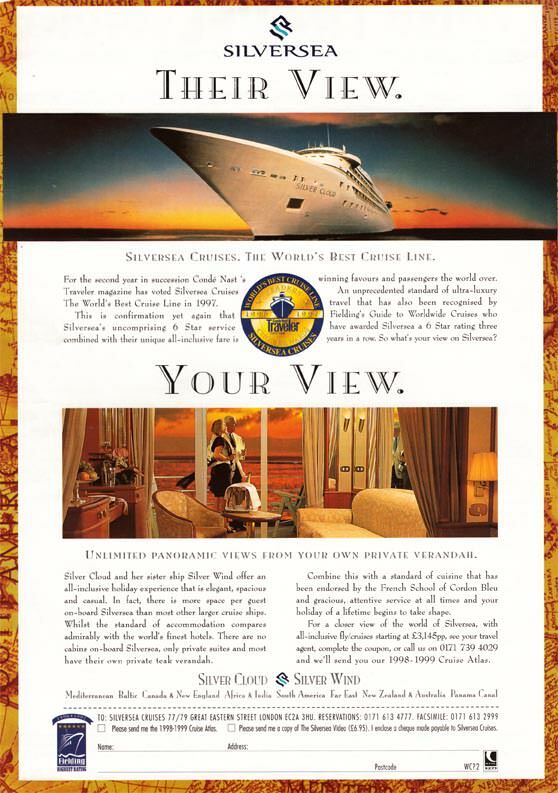 The 1998 advertisement for Silversea that launched my love affair with the Silver Cloud and her sister, Silver Wind. To be able to sail on her again after this recent refit is an absolute dream come true. Aaron Saunders’ collection.